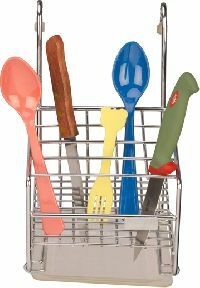 Knife and Fork Holder Add grace to your kitchen through our optimum range of Hanging Knife & Fork Holder . 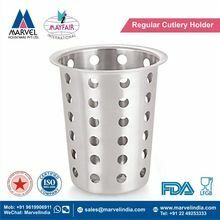 With no other Manufacturer and Supplier in Bawana, Delhi, can you find such superior finished product with extraordinary sturdiness. In appearance, they are one of the sleek and most appealing products that can easily get fit even in small kitchen space. We bring forth a wide range of Front Fork Holder in the national as well as international markets. Front Fork Holders are high strength castings made for the purpose of securing two wheeler and motorcycle front fork. We also offer both Lower and Upper Front Fork Holder as per the exact demand of the valued clients. 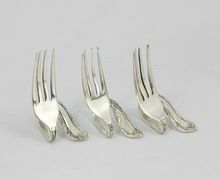 These fork holders are high on strength and performance and aesthetics. Rising Sun Die Castings Pvt. Ltd. Charm your dinner guests with these exquisitely designed cutlery holders. 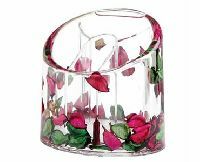 These holders are made from non toxic materials, designed specially to add grace and functionality to your table top. En'vogue Furnishings India Pvt. Ltd.
Sterling Home Innovators (p) Ltd.